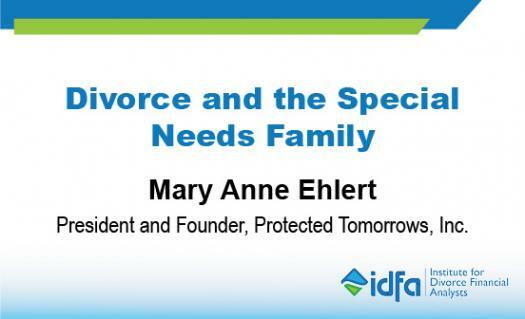 IDFA's June 2018 webinar will walk you through the complexity of divorce proceedings when working with families with special needs. Watch the webinar on the IDFA website. Please complete the following quiz for one hour of CE credit for your CDFA designation. This quiz will be available until September 30, 2018.